10th, 12th and Degree marks memos and original study certificates. 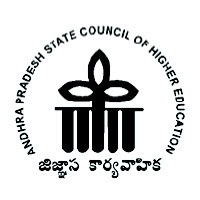 Andhra Pradesh Engineering Common Entrance Test is a well-known entrance test for admission to post graduation Engineering /Pharmacy (M.E/M.Tech/M.Pharm/Graduate level Pharm-D) courses in Universities and its affiliated colleges across the Andhra Pradesh state for the academic year 2019-2019. The counseling will start soon after the AP PGECET 2019 Results are announced by the conducting authority. Applicants who interested in the higher education for MTech & M.Pharmacy have to attend to AP PGECET counseling 2019 after qualifying the AP PGECET 2019 exam, can follow the instructions below. Applicants who are willing to attend the AP PGECET 2019 Counselling have to check rank wise carefully. Find your Rank wise Helpline center & Date. Pay The Counselling fee of Rs. 1000 & take computer generated Fee receipt. The allotted college send as SMS to the Registered Mobile Number. Applicants who are willing to attend the AP PGECET 2017 Counselling have to check rank wise carefully. The allotted college send as SMS to the registered Ph Number. What is Counselling for AP PGECET 2017? Andhra Pradesh Engineering Common Entrance Test is a well-known entrance test for admission to post graduation Engineering /Pharmacy(M.E/M.Tech/M.Pharm/Graduate level Pharm-D) courses in Universities and its affiliated colleges across the Andhra Pradesh state for the academic year 2017-2018. The counseling will start soon after the AP PGECET 2017 Results are announced by the conducting authority. When will the counselling process begin? The counselling process will begin soon after the AP PGECET 2017 results are announced.